There are a couple of extra fun activities you can engage in, and this depends on your choice. You can either go for social activities like shopping and going out with friends. If you prefer the solitary route, you can look for a place of tranquility and make it your campsite. If you’re into camping and have visited a couple of spots before, you may want to explore other areas, now start your camping holidays in Australia. There are plenty of breathtaking campsites you can go to, and some of these amazing spots are located across Australia. A camper’s life is not complete without having a checklist of the campsites you would like to visit next. For a blissful night underneath the stars, here are the four camping sites to add to your bucket list. Mt Field National Park is an hour’s drive away from Hobart through New Norfolk. It is the home of one of the tallest trees in the world. Prepare to be amazed as these giant trees await you. 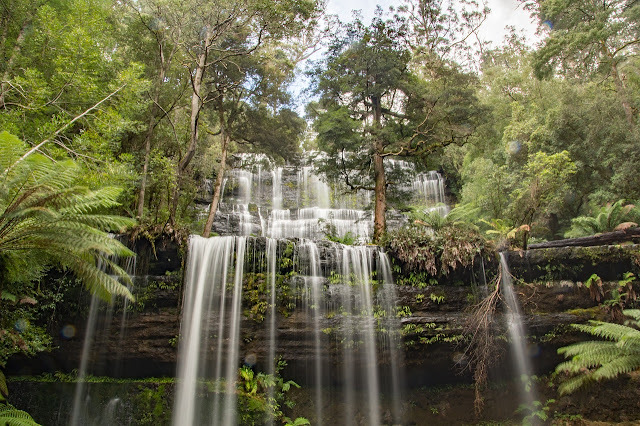 The place is considered Tasmania’s first national park where you can find Russell Falls. Russell Falls is a perfect place to relax as well as take memorable photographs. It is Tasmania’s most appealing waterfall, and it was even featured on Australia’s first stamp. There are plenty of beautiful places to uncover in Tasmania’s national parks, not just the famous Russell Falls. There is also the Lady Barron Falls and Horseshoe Falls that will surely make your camping holidays in Australia as memorable as it would be. Another thing to consider before you hop on an adventure at the park is bringing reliable portable solar panels for camping just in case your power bank and phones ran out of battery. You can count on solar power to recharge your gadgets. It’s a worthy investment which you can use either at your house or in a camping site. Regarding the camping facilities, they are accessible near the park entrance, alongside the visitor center, cafés, and shops. There are also a couple of picnic facilities further down the end of the park. The place is open all year round. Ormiston Gorge is a well-known location for people who enjoy taking long walks and gazing at the stars, and of course camping in Australia. Camping on this site will give you a chance to see a blanket of shooting stars and other constellations as you drift off to sleep in your tent. 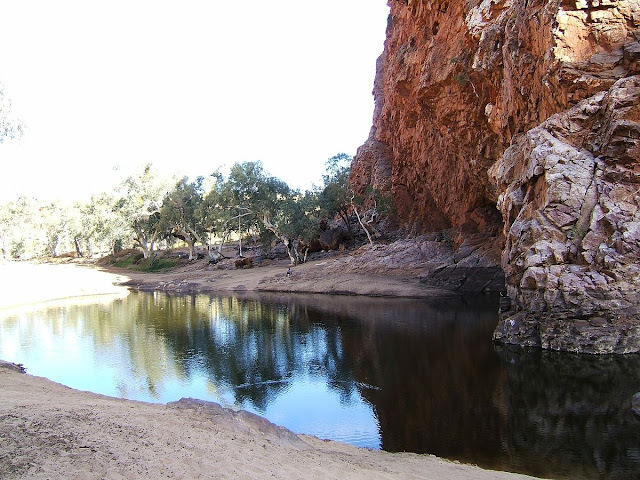 Ormiston Gorge is also the place for people who like to swim, as there is a nearby lifelong waterhole located 500 meters away from the Visitor Centre. The “water hole” is perfect for splashing around, particularly in the warmer months. However, it is important to note that most water holes have freezing temperature and exposure, even during summer, which can lead to hypothermia, so campers must exercise caution when swimming. One must also be aware of rocks and submerged logs. Ormiston Gorge is situated at Mount Zeil, Northern Territory. The camping site is accessible by way of a secured freeway, and it is the hiking trail for areas nine and ten of the Larapinta Trail. If you are wondering about the ideal time to visit, you don’t have to worry about adjusting your schedule, as the campsite is available all year round. The best time to visit, though, would be during the colder seasons, from April to October. Booderee National Park is situated at Jervis Bay Territory, and this campsite is the definition of relaxation. It is one of Australia’s most incredible parks. Camping here would give you the unforgettable experience of splashing in the crystal clear waters and alluring white sand beaches. The place also features the exceptional native life. Here, you would be able to explore the Aboriginal heritage of the Booderee, decorated with extensive botanical gardens. Also, you can enjoy and see the whales put on a spectacular show at Jervis Bay. The best time to visit is when the weather is ideal from April to June and August to November. 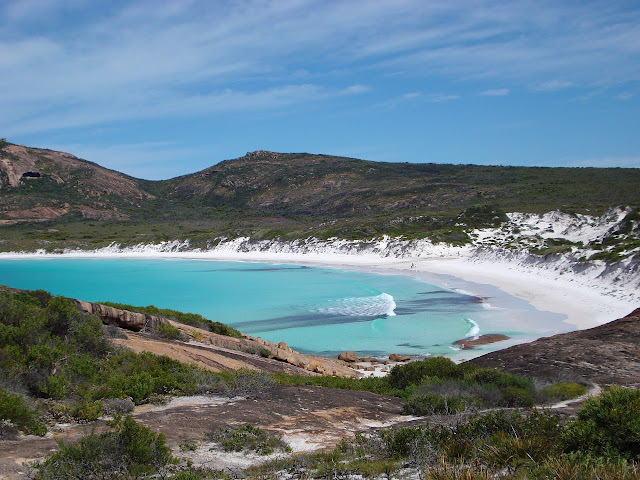 Located at Lucky Bay Road, this campsite is another place for an enjoyable and memorable camping experience. It’s one of Western Australia’s astounding national parks. Just like Booderee National Park, this place also offers breathtaking white sands and blue waters, as well as prominent granite headlands. Also, it’s the home of grey kangaroos, wildflowers, and pygmy possums. Aside from camping, this place is also ideal for beach driving and boating. There are plenty of underwater activities as well, which are the perfect getaway from stressful city life. The perfect time to visit would be late autumn or summer. Going on an adventure at one of these stunning campsites is undoubtedly invigorating and will recharge your weary body. It would give you unforgettable moments to treasure with your family and friends. If you’ve already found the next campsite you would like to explore, be sure to prepare for the big day. For the best camping gear, OutbaxCamping can supply your needs. Choose from a variety of inflatable mattresses, portable solar panels, sleeping bags, and more. If you’re running out of time, you don’t have to worry as Outbax also offers a 24-hour dispatch guarantee as well as free shipping. Get your camping gears now and experience a blissful night underneath the stars while doing your camping holidays in Australia.